Pinterest is a visual social medium for users to share photos, videos and inspiration with the world. You can follow friends or companies. You can pin anything that you can think of. The obvious local business to use Pinterest is a restaurant. Pin your most popular dishes or pin the inspirations behind that dish. What if I am an accountant, how can I use Pinterest? You don’t have to be a visual business to be on Pinterest. People are searching for information to help them save money, or ideas to be smarter about their taxes—by establishing a Pinterest profile, you enable more people to discover what makes your business stand out. How do I get Pinterest followers? Promote through your existing marketing channels, in your store, on your website and on your other social media platforms. Getting your followers involved in your boards (collections of pins) is a great idea for small businesses. How do I share my location and phone number? Pinterest just released an update to all 7 million pins currently posted and to all new pins a location and phone number for easy access to pin information. For local businesses, add your location in the Pin description to improve relevance in Pinterest search results. Pin regularly and make sure your Pins link back to something helpful, such as your website where customers can purchase products. How can I Network Locally? Are your customers, your business partners, the restaurant down the street on Pinterest? Look for them (you can use Pinterest’s search or just go to their websites and look for a link). Follow some or all of their boards. Like, re-pin and comment on their pins. Promote their businesses on your local boards. You’ll likely find that they will return the favor! With remarketing in Bing Ads, you can serve ads on Bing and Yahoo search results to users who have visited your website. It’s similar to RLSA in AdWords, but the remarketing extends to product ads in Shopping campaigns as well. You’ll need to have UET tags set up on your site to get started. 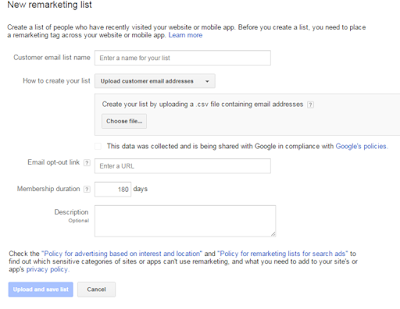 Once that’s set, you create remarketing lists in the Audience section of the Shared Library in your Bing Ads account. A list has to have at least 1,000 users in it in order to be used for remarketing. Want to know how to take advantage of Twitter? Tired of just tweeting to the world wide web and hoping someone is listening? Here are 10 tools that will help you gain followers so your Tweets are heard. SocialBro - The plan comes with analytics, best time to tweet, follow/unfollow tools, and community segmentation. Uncover and track the quality of your audience, understand crossover between communities, and combine content with relationship analysis. It also helps you track ROI for paid and earned media. SocialRank - Receive a sorted list of your best followers, most influential followers, and most engaged followers. Useful to track the important people to engage with on Twitter. The easiest way to identify, organize, and manage your followers on Twitter and Instagram. Bluenod - Find influencers quickly, export data and get more insights on hastags, target topic-related communities, and connect with key influencers to share your best content. Crowdfire - Prune your list of those you follow by seeing who follows you back, who’s recently unfollowed you, and who’s inactive. For use with Twitter and Instagram. Manageflitter - Follow/Unfollow in Bulk. Segment your followers according to a number of factors: last tweet, follower count, location, language and whether or not they follow you back. Rite Tag - Plug in a hashtag and see feedback on the tag’s reach and popularity. Also get suggestions for some alternatives to try. Warble - Get an email whenever someone shares from your website—even if they don’t mention your username or if they use a link shortener. Warble also alerts you to full keyword, mention, and hashtags. Warble is free to use and integrates directly with Twitter. Search Marketing City Platform - Post and schedule tweets. Get leads from tweets that match a keyword and are within a radius of your location. Plus, get email alerts when your account receives a tweet, retweet or share. Try it free for 30 Days. TwitterFeed - allows you to add RSS feeds (yours and others) to be shared automatically through your Twitter, Facebook, and other social media accounts each time there is a new update to them. WeFollow - One of many Twitter directories that can add value to your twitter account. Just like Google likes links, twitter directories help link to your Twitter account that links back to your website. Know of any other great Twitter tools? Post them to the comments and share with everyone. Want another way to reach your customers as they drive by your store? With a new update to ad customizers, you can now dynamically tailor ads based on a person’s physical location when they search. This update is very similar to Foursquare and how it renders promotions on mapping software. Add location-specific information in your ad customizer spreadsheets to show accurate store inventory, store hours, location information, shipping times, and highlight discounts, promotions and events in your Google Adwords ad copy. Find the right golf clubs for you! 10% off in our Concord store. 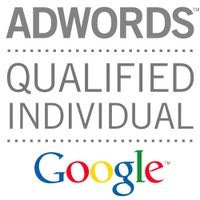 Now you can advertise a sale or special on your menu to get more customers into your doors using Google Adwords. Google Adwords recently announced this new targeting option for Search and Display, YouTube & Gmail advertising. Customer Match is expected to be rolled out to all advertisers over the next few weeks. Upload a list of email addresses with only one address per line. Your list can contain hashed or unhashed addresses, but not headers or multiple tabs. 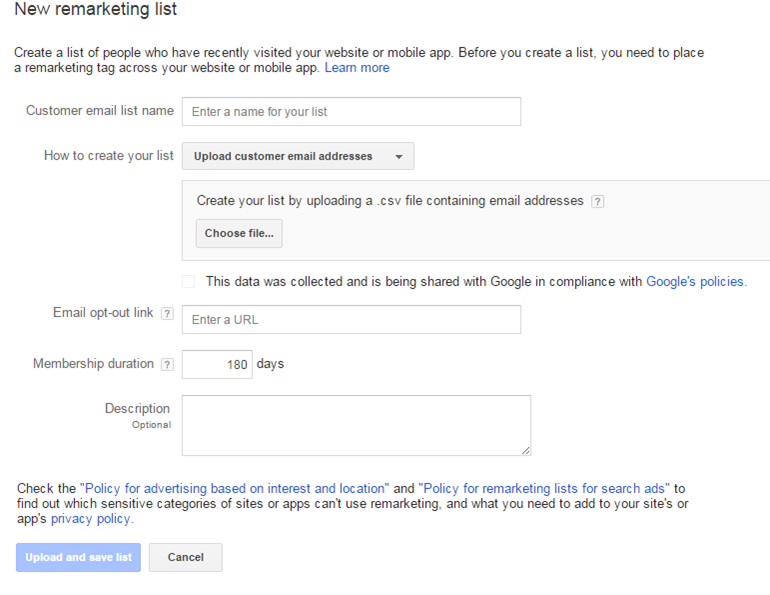 Important: The list of email addresses you upload will only be used to match to Google IDs and for policy compliance. It won't be shared with anyone and will be deleted 7 days after matching and the compliance check are complete. Email Opt Out - Provide a link to the page where people can manage their preferences for receiving email from you, including opting out of any email lists they may be subscribed to. Click +Remarketing list and select "Customer emails" from the drop-down menu. Select "Upload customer email addresses." Choose a file (see requirements below). Enter an email opt-out link. Provide a link to the page where people can manage their preferences for receiving email from you, including opting out of any email lists they may be subscribed to. Check the box "This data was collected and is being shared with Google in compliance with Google's policies." Click Upload and save list. You can view the progress of your uploading file under "Audiences," which can take up to 3 hours to complete. Add your customer emails list to your campaign. To show ads on Gmail, add your list to a "Display Network only" campaign that uses "Gmail Ads" from the "Ad gallery." To do this, open the campaign, click the Display Network tab, click + Targeting, choose your campaign and ad group, click "Add targeting" and select "Interests and remarketing," then click "Remarketing lists" and select a list. To show ads on Google Search, add your list to a "Search Network only" or "Search Network with Display Select" campaign. To show ads on YouTube, add your list to an "Online video" campaign.